The Rite of Christian Initiation of Adults (RCIA) is the process by which adults and children of catechetical age become initiated into the Christian Catholic faith, receiving the sacraments of Baptism, Confirmation and Eucharist, and going forward to live the Christian life. If you are considering becoming Catholic, or know of someone who is interested, or want more information, please call your nearest Catholic parish. Find a list of parishes at: Parishes in the Diocese of Saskatoon. 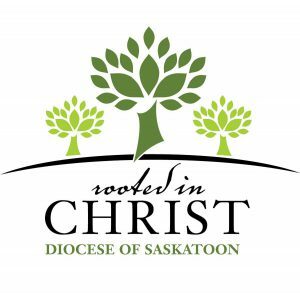 You are also invited to call Marilyn Jackson, coordinator of Evangelization and Catechesis, at 306-659-5836 for more information about RCIA, becoming Catholic, receiving Sacraments, and/or to talk about resources and direction available to parishes in implementing the RCIA process. People who go through this RCIA process may be unbaptized, or may have already been baptized in another Christian Church, or may be baptized Catholic but have not received the sacraments of Eucharist or Confirmation. The process leading to full initiation follows four steps adapted to the particular needs and concerns of those to be initiated. The initiation process help adults to grow in their relationship with God, become familiar with Catholic teachings and practices, and get involved in service within the parish or the wider community. How someone comes to consider joining the Catholic Church is unique to each individual. Years of marriage to a Catholic spouse, conversation with a Catholic friend or coworker, something written or viewed in the media, questions from one’s children, a crisis, a search for meaning in life – any of these can lead someone to explore the possibility of becoming Catholic. Has your child missed the sacraments of Baptism, Confirmation or Eucharist? Children who were not baptized as infants are initiated into the Catholic Church through a process called the Rite of Christian Initiation. Children who are baptized but have missed Confirmation or First Eucharist (both celebrated in our diocese together at around age seven) for whatever reason, are also prepared through this Rite of Christian Initiation process. Children spend a minimum of one year in the initiation process, preparing through prayer, scripture, catechesis and ritual. Parental involvement and regular attendance at Sunday liturgies are necessary. The process leads to initiation into the church through the sacraments of Baptism, Confirmation and Eucharist at the Easter Vigil. For more information, please call your nearest Catholic parish or Marilyn Jackson at 306-659-5836. In reaching out to those who have expressed a desire to become Catholic, the Church wishes to share its tradition, its life, its values, its prayers, its apostolic work. Because so much is involved, it takes quite a while to pass on these traditions. Many “cradle Catholics” take all this for granted! The Christian Initiation process calls for each inquirer (the person seeking to become Catholic) to have a sponsor. Sponsors are active members of the parish community who serve as companions to the inquirers. What is involved in being a sponsor? You are paired up with an inquirer and attend weekly sessions with that person. You extend, in a personal way, the parish community’s welcome and support. The joy and faith, the personal stories, struggles, and insights of new members will renew your own faith and sense of belonging to the Church. As you share some of your own life and faith, you will uncover for yourself new dimensions of being a Catholic Christian. Parishes are always looking for sponsors. The ideal is to have a large sponsor pool so that inquirers can be matched with someone of similar age, interests and life circumstances. Consider volunteering for the ministry of sponsor in your parish! • Inquiry: the initial period before you decide to enter the Catholic Church. You’re asking questions and checking it out, but aren’t yet ready to commit. • Catechumenate: those who decide to enter the Church and are being trained for a life in Christ are called catechumens, an ancient name from the early Church. In this stage, you’re developing your faith and are being “catechized” – learning catechism, or the basic points about Catholic faith and life. • Purification and preparation: The Church helps you focus and intensify your faith as you prepare to commit your life to Christ and be received into the Church at Easter. Catechumens go through a beautiful series of Gospel-based meditations and liturgical celebrations (rites and scrutinies) during Lent, which is the time frame of this period. • Initiation: the culmination of the whole process! People are normally received into the Church during the Easter Vigil Mass, where they receive the sacraments of initiation: Baptism, Confirmation, and Eucharist at one joyful celebration. • Mystagogy: after reception into the Church at Easter, this period lets you reflect and learn more about the mysteries of the Mass and the Sacraments that you now participate in fully. If someone baptized in another Christian tradition wants to become Catholic, they typically go through a process of learning more about the Catholic faith as baptized “candidates” which usually means that they also journey through the year-long RCIA program as well — but they do not go through all of the same “rites” as the catechumens who are journeying toward baptism. Candidates that are already baptized “in the name of the Father and of the Son and of the Holy Spirit” are not re-baptized. Instead, they make a profession of faith (usually at the Easter Vigil Mass) and receive the sacraments of confirmation and first Eucharist to come into full communion with the Catholic Church.